Gerit Quealy is passionate about the Bard of Avon. 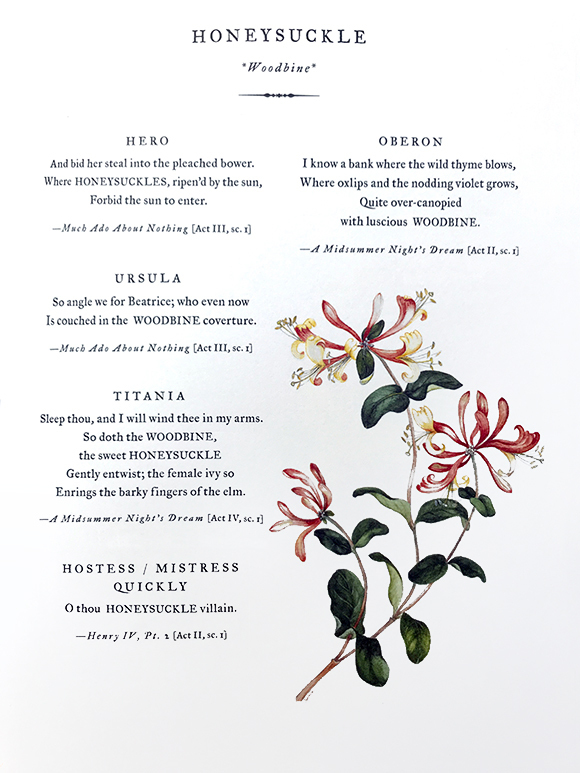 Her latest book, Botanical Shakespeare: An Illustrated Compendium of All the Flowers, Fruits, Herbs, Trees, Seeds, and Grasses Cited by the World’s Greatest Playwright (HarperCollins), is beautiful proof. She will talk Shakespeare at a lecture and book signing at 1 p.m. Sunday, October 15, at the Chicago Botanic Garden. The book’s splendid illustrations are by Sumié Hasegawa-Collins and its foreword is by Helen Mirren—yes, Dame Helen’s an avid gardener. 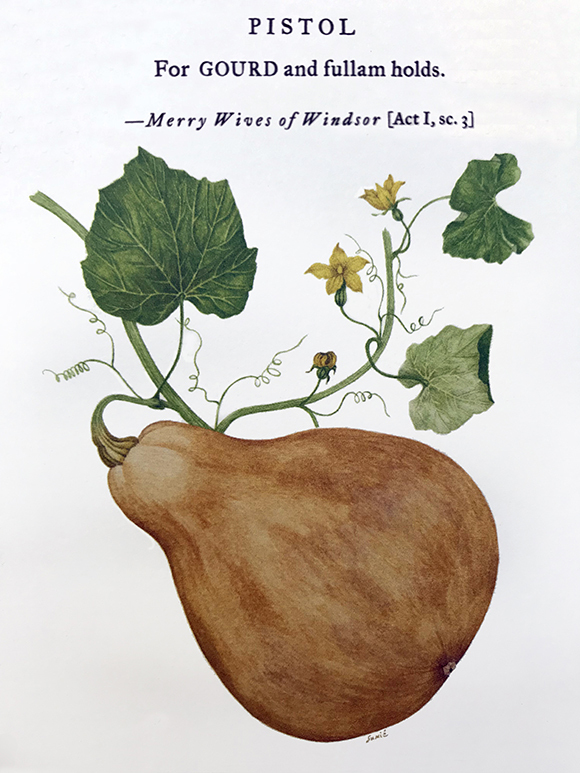 But it is Quealy, the book’s writer and editor, who dug through historical manuscripts from the sixteenth century’s “Elizabethan horticultural boom” to unearth more than 170 plant references in Shakespeare’s poems and plays. For instance, apples often play a role in the Bard’s works, for as Quealy writes: “Shakespeare finds the apple ripe for metaphor.” Consider the Apple-John variety in Henry IV: “I am withered like an old Apple-John,” says Falstaff. The book should charm gardeners who might prepare an autumn feast by emulating the Bard’s locavore and organic credentials. 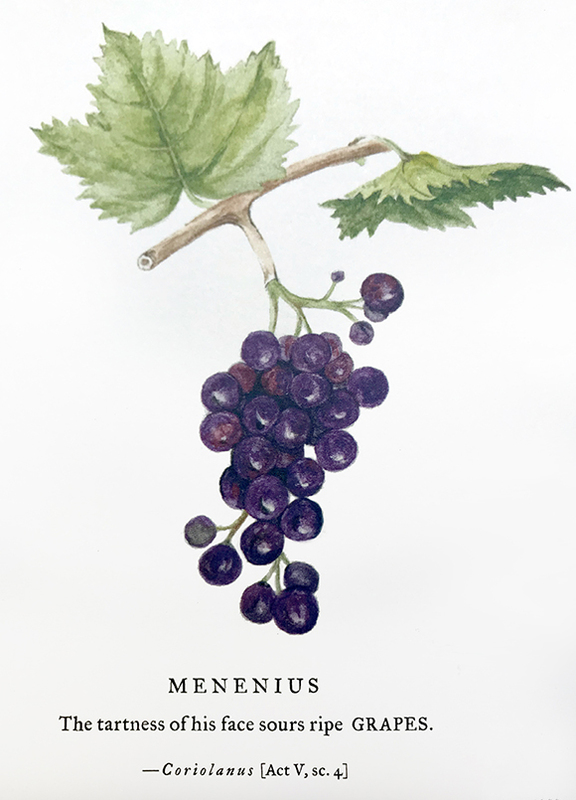 Quealy suggests featuring carrots, turnips, potatoes, leeks, apples, grapes, plums, pears, thyme, or marjoram. Shakespeare, as noted in Quealy’s book, can provide conversation starters for each of these ingredients. Quealy has been in love with the Bard since a traveling troupe performed Twelfth Night for her third-grade class. “I just think the story and the way the story unfolded, maybe the rhythm of the language, is something that I responded to,” she says. Born in Virginia, raised in Florida, and now living in New York, Quealy has been an actor (theater, television), a journalist (newspapers, magazines), and an author. A television project is in the works (FLOTUS: Playing the Woman Card in the White House); as is a project on Shakespeare’s kitchen. Guest blogger Judith Hevrdejs-King is a freelance writer.